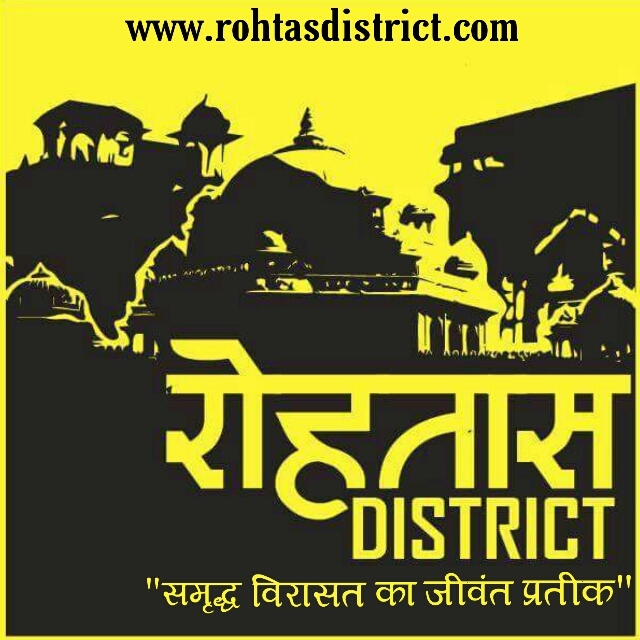 Sasaram, the headquarter of Rohtas district of Bihar is a small town on the Grand Trunk Road (National Highway No.2) with a railway station of the same name on Mughalsarai -Gaya Section. It is located about 160 kms south west of Patna the state capital. Sher Shah Suri is truly regarded as one of the brilliant national heroes of India. Apart from a brave, intelligent and tactful military genius with shrewd political foresight, Sher Shah (original name Farid Khan) was a person of extra ordinary skill and ability in civil administration also. His father Hasan Shah was a Jagirdar of Sasaram. Sher Shah was born in 1472 AD and completed his formal education at Jaunpur. Because of his high personal qualities, starting his career as a small jagirdar, he ascended the throne of Delhi in 1540 AD after driving away Humayun, the Mughal emperor. But unfortunately he could rule the nation for a very short spell of five years till he met an accidental death in the fort of Kalinjar on 10th day of Rabi’ul Awwal, A.H. 952 or the 13th May 1545 AD. He laid the foundation of an independent dynasty of Sur Afghans. He scored surprising achievements in a variety of fields. Amongst his foremost contributions were re establishment of law and order across the length and breadth of his empire and fostering of trade and commerce. Sher Shah restored the old imperial road called the ‘Grant Trunk Road’ running from Calcutta to Peshawar, built a road from Agra to Jodhpur and Chittor linking up with the road to Gujrat seaports and a third road from Lahore to Multan, the window for caravans going to West and Central Asia. For the convenience of travellers, he built a good number of sarais on these roads. Further, he introduced the currency called rupiyah and organized a systematic postal service. Sher Shah was a great builder too. He built a new city on the bank of Yamuna river near Delhi of which the sole survivor is the Old fort (Purana Qila) and the mosque within it known for its lavishness of decoration. But his most outstanding contribution to the field of architecture is the construction of his own tomb at Sasaram, Bihar which combines soberness with elegance. The tomb is regarded as one of the noblest specimens of Afghan architecture in India. It is an imposing brick structure partly veneered with stone standing in the middle of a fine square tank measuring about 305 mts and rising above a large stone terrace. The 9.15 mts high terrace is enclosed by a parapet wall with octagonal domed pavilions at four corners. In the middle of the terrace stands the mausoleum proper on a low octagonal plinth. The building consists of a very large octagonal chamber surrounded by a 3.10 mts wide verandah. Each arm of the octagon measures about 17.00 mts externally. Surrounding the main dome are eight pillared cupolas on the corners of the octagon. The total height of the tomb above the terrace measures 37.57 mts. The interior of the tomb is sufficiently well ventilated and lighted through large windows on the top portion of the walls. In a small arched recess above the mihrab on the western wall is an inscription in two lines recording the completion of the tomb by Salim Shah on the 7th day of Jumada, A.H. 952 (16th August 1545 AD), some three months after the death of Sher Shah Suri. The tomb of his father Hassan Shah and that of his son Salim Shah are some other monuments of architectural as well as archaeological interest at Sasaram.